Home BuzzIn #SaathSaat: Celebrating 7 Years of delivering healthy train journeys! 7 Years back when we thought of taking on your travel problems, we knew about the hurdles that lay ahead. Today when we look back, we only feel proud to have enriched the journeys of millions of Indian train travelers even if that required bringing down challenges that seemed as stiff as mountains, we did it only for you! 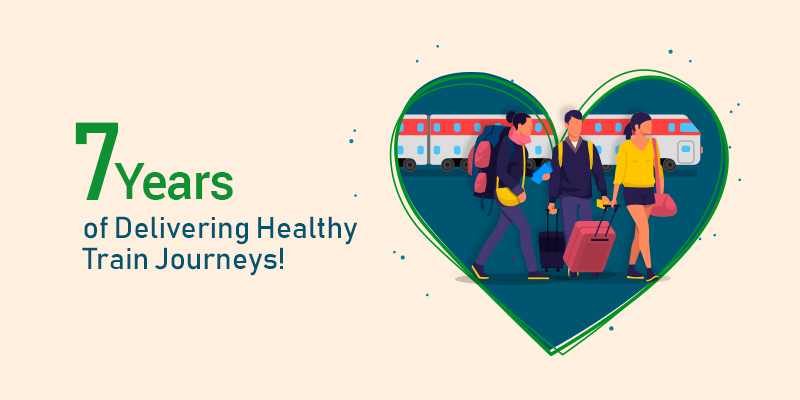 On this World Health Day we’d like to share some highlights of our services and how they’re making journeys of more than 24 Million Indians healthier than they ever were. When we started our journey 7 years back, it pained us to see how train travelers had to compromise with the quality of food (if they were not carrying home-cooked food with themselves) simply because they had only two choices – one, buy food from train pantry and two, have it from platform hawkers. At that time, getting food was big and getting healthy and hygienic food was like a far-fetched dream. 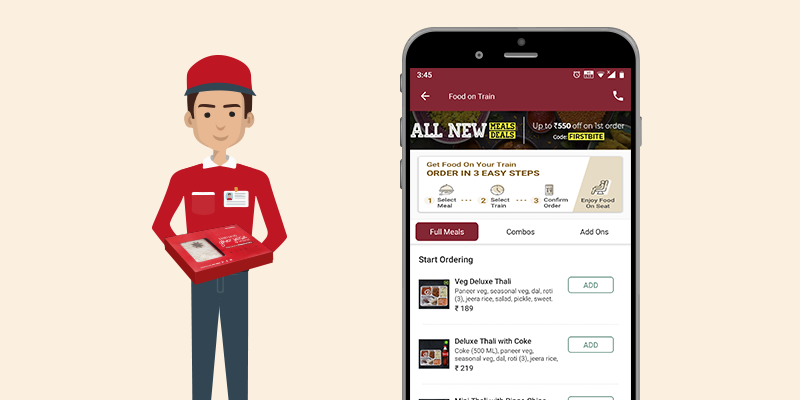 That’s when we decided to launch our own meals on train services with one goal – “deliver hygienic, healthy and delicious meals to India’s train travelers”. It clicked with our customers and soon we started receiving lakhs of orders every month and became a household name among train travelers. This gave us more confidence and a feeling of being able to achieve what we intended to when we started. Rarely did we hear any customer complaints about the quality of food we were serving and when we did, we made sure we took immediate action against the concerned restaurant partner. All this wouldn’t have been possible without your help. Your feedback and ratings have helped us maintain the quality of our services and improvise wherever necessary. It is because of you, we come to know – What we should and what we shouldn’t! Though we have traversed a long distance over the last 7 years, in terms of our food delivery on train, we are ever ready to learn. We have a preventive rather than reactive stance when it comes to the food we deliver. So, we have integrated a series of steps to stay doubly sure about the quality of food being delivered. Handpicking restaurants: We do not partner with a restaurant just to increase the numbers. Our team of specialists personally interview and visit the restaurant premises. The team analyzes every aspect of the restaurant, especially the cleanliness of their kitchen as well as the raw materials used in its preparation. We include a restaurant only after being 100% sure. Sharing tips with Restaurants: We do the hand-holding job to help our partner restaurants cater flawless services. And we do this by sharing tips and advises on expected food hygiene standards through periodic correspondences. Promptly acting on feedback and ratings: When you write back to us about a bad experience with food or the delivery, or anything else or rate a restaurant badly, we take it really seriously. We investigate into the matter and advise the restaurant partner on bettering the level of service. Periodic Restaurant Filtration: When a restaurant repeatedly fails in fulfilling our goal, i.e. meeting your food experience, we take actions. We de-list them from our services and start searching for new alternatives. While most of you go on a shopping spree before a journey, not many of you purchase essential health products! That is a conception that needs to be changed, for there is nothing certain about health problems. They might bug you anytime, and that is why shopping for health essentials before a travel makes a lot of sense. 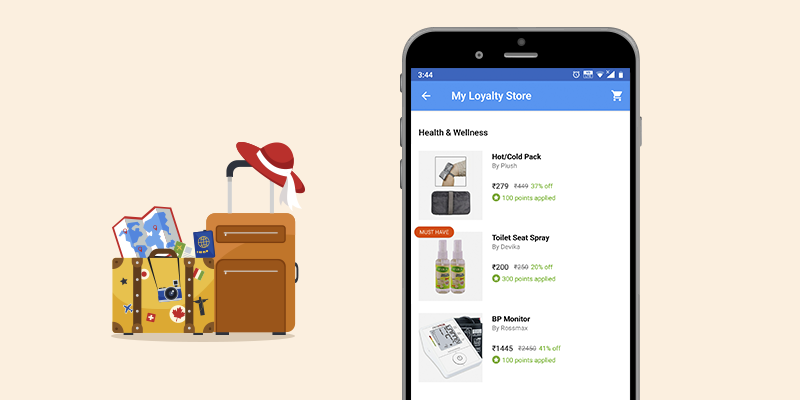 We have identified this need and that is why our Loyalty Store is filled with products that help you monitor your health while on-the-go! From Thermometers to BP monitors, Hot and Cold packs to toilet seat spray – we have them all. And the best thing is: you can redeem your Loyalty Points to purchase these essential products at affordable rates. So, before you head out for your trip, do check our attractive range of products which may come handy at the time of any health related setback during your journey. No one can predict about medical emergencies. That’s the reason we launched the Medical Emergency feature, some 4 years back. 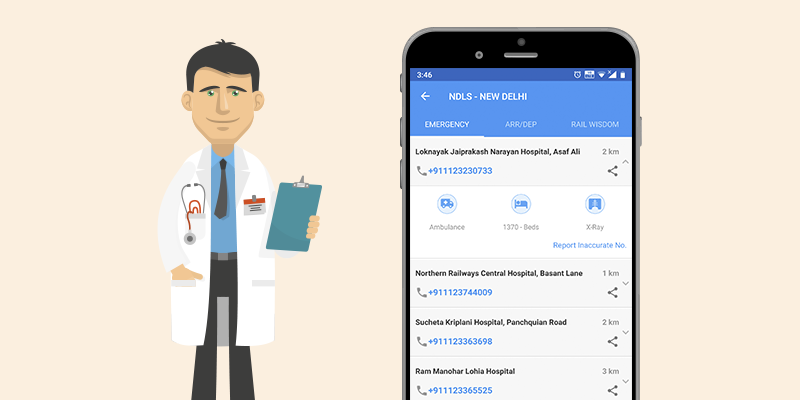 The feature helps you identify the nearest medical facilities and shows you their contact details as well as their capabilities. You can stay in charge even when there is a medical emergency. And we have this feature, because we deeply care about your health! On the occasion of World Health Day, let us pledge of not compromising with our health ever, during journeys. Previous articleWe have de-listed restaurants for failing to meet your expectations!